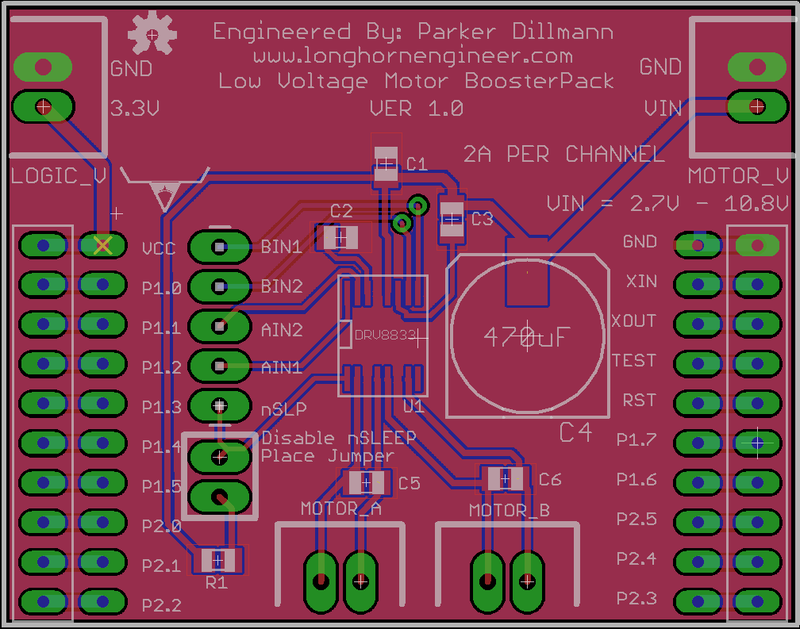 This is a Low Voltage, 2A motor controller BoosterPack for the Ti LaunchPad. So far I have not found a motor controller yet so I decided to make one. This is the first in many BoosterPacks I will be designing and selling. It uses the Ti DRV8833PWPR Dual H-bridge Motor Driver chip. The chip is capable of 2Amps per motor channel and a motor voltage from 2.7V to 10.8V. Logic voltage for the DRV8833 is 3.3V which makes it a perfect match for the MSP-430 LaunchPad. The BoosterPack has the nSleep pin broken out from the DRV8833. 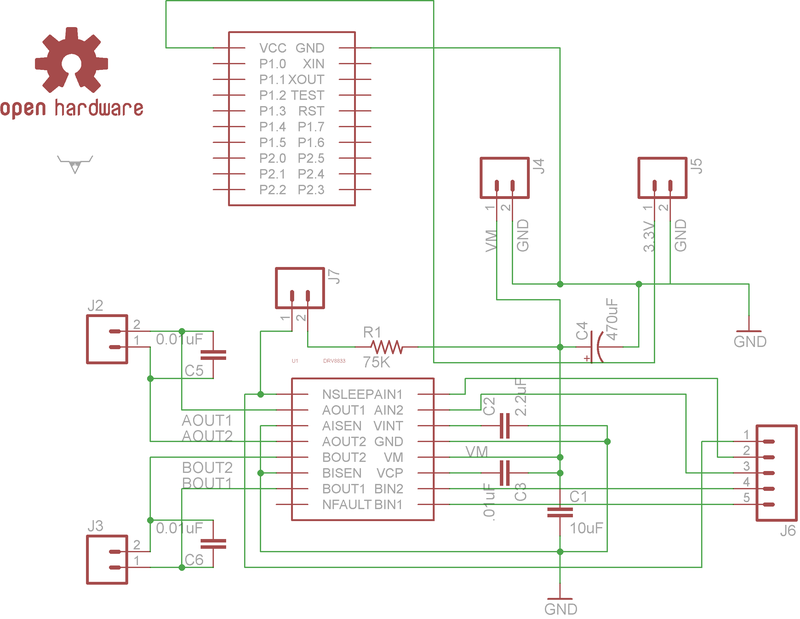 Using this pin will put the DRV8833 to sleep to minimize current draw. If this pin is not needed or the LaunchPad is lacking I/O there is a jumper to pull the nSleep pin high.